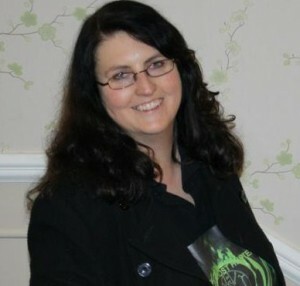 Kim O’Shea is a Paranormal Investigator with a passion for writing. She researches and writes on a wide variety of subjects but prefers to write about things she knows well or has experienced. She lives in the wilds of West Cork, Ireland and is strongly influenced by the haunting beauty of this wonderful place. I am inspired by personal experiences. I draw on my memories and also on what is happening in my life at the time I sit down to write. The deeper something affects me; the more compelled I feel to write about it. I tend to pick up a pen and just let the words flow. Occasionally, I use the laptop but I find that using pen and paper really gets my creative juices flowing. I allow the words to fill up the page uninterrupted and the first edit happens when I type up my longhand. I become completely taken over by my characters and live their lives while I am writing about them. I feel their joy and their sadness and I feel bereft when it’s time to leave them. Just do it. Let the words flow. Don’t try to write polished first drafts. Only edit when you have all the words on the page. Interrupting your flow to correct typos or bad grammar could easily rob the world of a great masterpiece. There is always time to correct and polish your words after you have written them. Let it all happen naturally and above all, enjoy writing! I researched various publishing routes and after comparing notes, decided that self publishing was the way for me to go. Self publishing gave me the control to publish when I was ready to publish. I loved the whole process and felt I had really achieved something when I saw my first book on Amazon. Self publishing may not be for everyone but it should be researched thoroughly before a decision is made. I think that online and self publishing will continue to grow as the market continues to expand. More readers are demanding more content on more devices and on demand publishing will continue to fill this need.